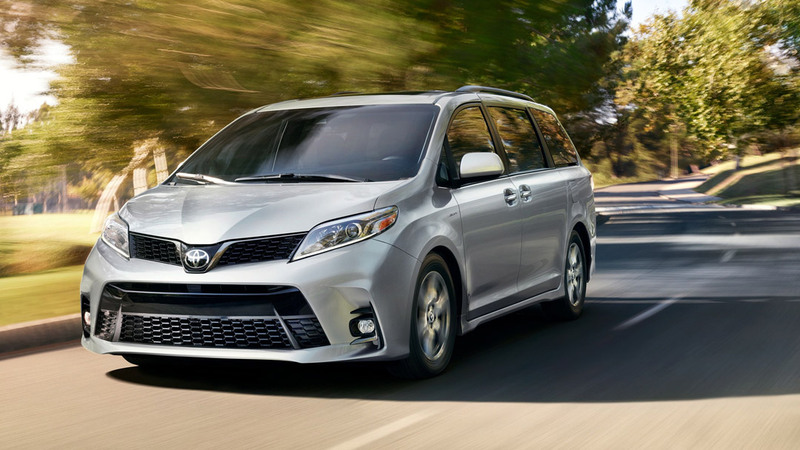 For the soccer moms and dads, your favorite family minivan is as good as ever, with the best technology, features, and design, all in the minivan that will never leave you stranded. Every trim of the Toyota Sienna is powered by a 2.5L V6 that produces 296 hp and 263 lb.-ft. Of torque, plenty of power for creating a fun to drive, yet safe and smooth driving experience. You also have the option between a Front-Wheel Drive drivetrain and a All-Wheel Drive drivetrain with active torque control. All in all, there’s plenty of power in the Sienna, no matter how many people or bags you’re carrying around. No matter how many people you’re carrying, there’s plenty of room for all their stuff. Whether you opt for seating for 7 or 8 , you’ll benefit from seats that fold 60/40, so you can add extra luggage while still keeping up seats for passengers. 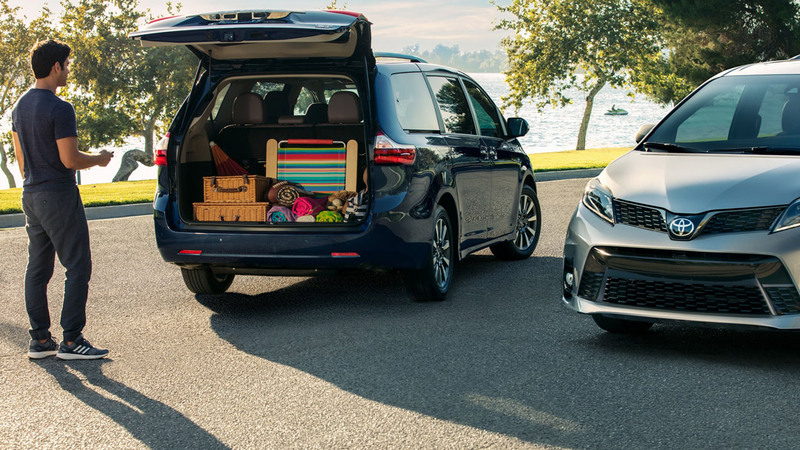 The third row also features a Split & Stow feature that, in one motion, folds the third-row seats into a flat cargo area, this motion can even be power-operated on the Sienna Limited FWD. We don’t believe in sacrificing style for function, so we manage to make style functional. 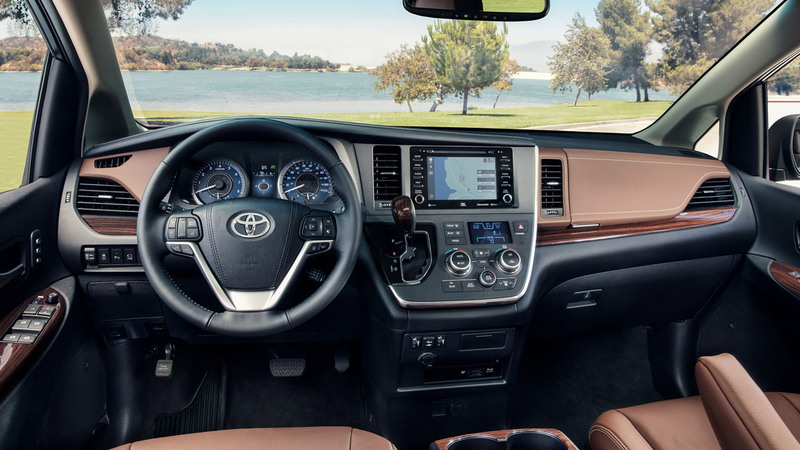 The 2019 Toyota Sienna features a number luxurious features that makes the interior of the Sienna a fantastic place to be. With 3 row climate control, Dual moonroof, and leather-trimmed seats all available on varied Sienna trims, the inside of the Sienna is not an ugly place. You also have access to great technologies for all your passengers with available dual-view Blu-ray disc entertainment center which includes an upgrade that features two 120V AC power outlets, a remote and two wireless headphones. 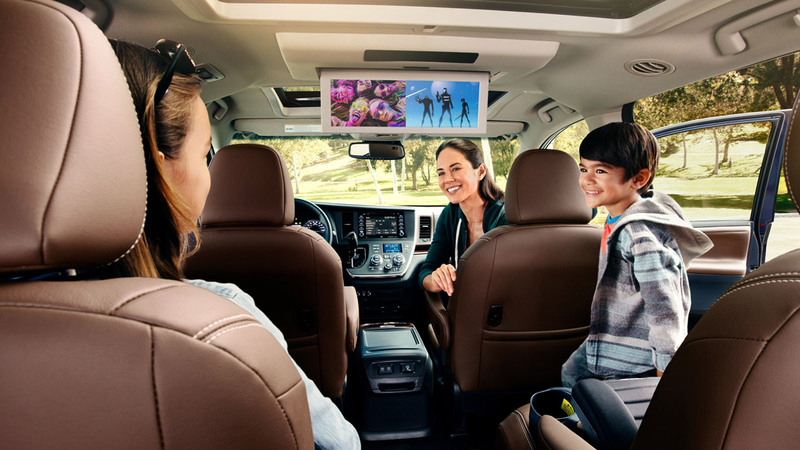 The passengers in the Toyota Sienna are not an afterthought, they get dedicated climate control, entertainment, and power outlets to fuel their entertainment no matter how long the journey. The Toyota Sienna also has options that provide comfort levels, no matter the passenger’s needs. 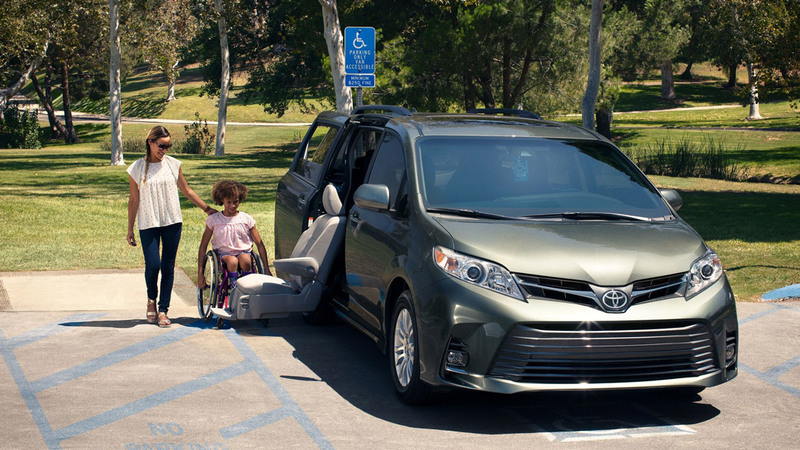 With optional Auto Access Seats, the Sienna’s back seats can rotate 90 degrees, and power drop and raise the back seats to make entry to the vehicle easier for anyone with disabilities. This is the industry’s only available power-rotating lift-up seat to be factory installed by a major auto manufacturer.